About Us / Local Roasting Co.
We are a locally owned, independent coffee shop and roaster in Portland, OR. 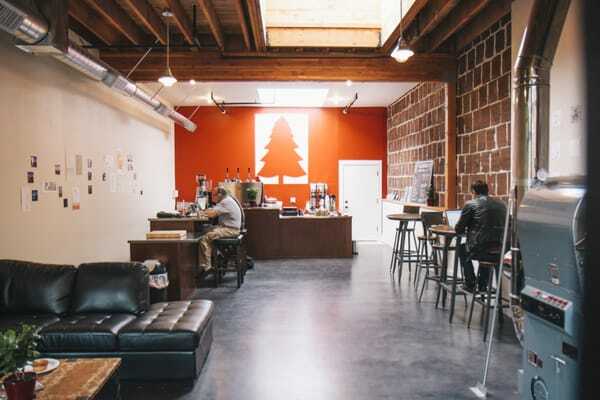 We started roasting beans in 2012, and with help from our friends, we were able to turn a piece of the old Film Exchange building in Northwest Portland into a cozy little spot to roast coffee and serve tasty beverages. We roast our beans in small batches on our brand new, energy efficient Diedrich IR-5 two to three times a week, so all the coffee we serve in the shop is about as fresh as it can be. As with all crops, coffee beans are seasonal, so we offer the best coffee we can get our hands on throughout the year, and we try and purchase certified organic beans whenever possible. Copyright © 2019 Local Roasting Co.